Click here to subscribe to our Mind Power feed! 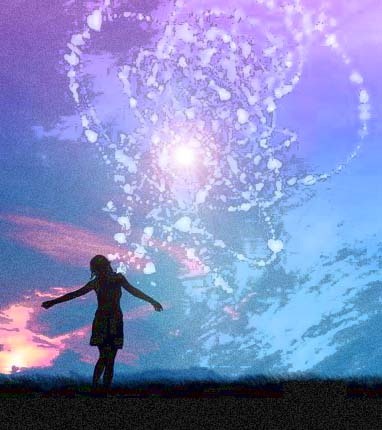 Increase your health, love, happiness, and abundance through our meditations. Our specialists offer you many years of wisdom that will help you manifest your dreams! 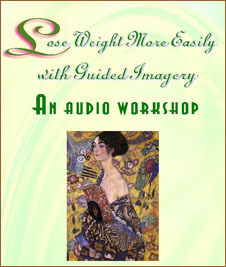 Use guided imagery to achieve your ideal weight more easily and quickly! Recent research has shown that people who use guided imagery regularly, imagining themselves at their ideal weight, achieve weight loss more easily and quickly. This audio is approximately 17 minutes in length. After purchasing this workshop, you will receive an email with a link to a password-protected web page to your zipped MP3 audio file. This file is easily downloaded to play on your computer or iPod™ device. Learn to break patterned responses and start to produce diversity and spontaneity in your relationship with life. For many, life appears as a series of events—some connected events, some random and many overlapping. Humans respond to the events, react by trial and error, and store the information as learned sets of stimulus/response. A small storehouse of stimulus/responses can appear more efficient, however, adapting the same old responses to a new event may be very stressful and time consuming. Using imagination by promoting skill with intuition helps expedite our learning curve—but the voice of the critic (‘internal auditory process’)—may bring our learning to a halt. Most people rely on external reciprocity (supporting statements from others) to reinforce new patterns. This is never a good game when we need to give the power for action to another. What is needed is trust, the ability to operate without evidence. Not blind trust, again the power is projected outside. But trust based on discerning body references similar to levels found in craftsmanship—the unquestioned feel of quality. This force that drives your action without hesitation or the need for reciprocity is called certainty. In this Certainty seminar, you learn to develop this force by participating in simple fun exercises. The exercises are designed to promote reacting in peculiar ways to abnormal events, producing a range for introducing flexibility to your responses within the dogmatic nature of learned stimulus/response. This weekend seminar recording will help you break these patterned responses and start to produce diversity and spontaneity in your relationship with life. Play and observe the difference. *Due to the nature of the product (downloaded files), there unfortunately are no refunds. This is a very special package with fun information and guided meditations to help you manifest what you desire most! Check out the DragonBytes blog today!